Angled shafts, 11mm from bend to tip at 45 Degrees with Arruga style tips. Round knurled handle with guide pin. 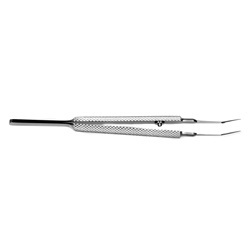 Overall length: 100mm.